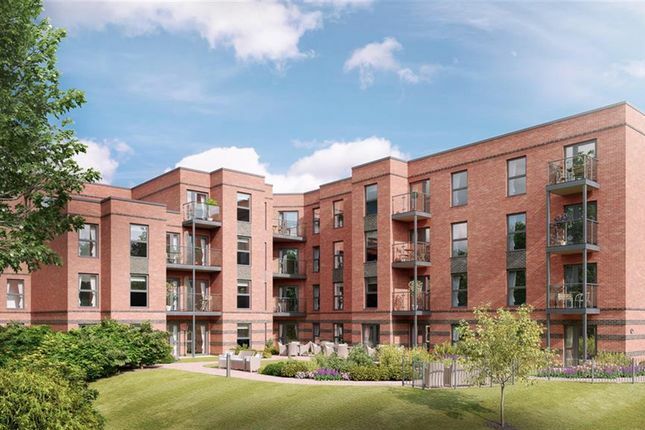 A new development of retirement living apartments exclusively for over 70's within a highly desirable location within the historic Calthorpe Estate within Edgbaston. Comprising 57 one and two bedroom apartments. Ryland Place benefits from: Homeowners' lounge, staff on-site 24 hours, table service restaurant, guest suite, lift to all floors, landscaped gardens, laundry room and wheelchair accessibility. Buying one of the Retirement Living plus apartments and you will have the best of both worlds, access to a stylish homeowner's lounge and landscaped gardens as well as the privacy of your own apartment. Care is given to all the external maintenance across the development, so you are free to do more of the things you enjoy with continued independence. There are 57 one and two bedroom apartments, designed exclusively for the over 70s. Edgbaston boasts a range of local amenities and easy access to the city centre. Just half a mile away there is a Tesco Express offering a good selection of daily essentials while Morrison's supermarket is a mile away and accessible by bus. Less than a mile away is Harborne where you will find a go surgery, dentist and an M&S Simply Food. With 35 parking spaces which include visitors parking. Benefiting from home owners lounge, estates manager, guest suite, landscaped gardens, restaurant, staff on site 24/7, internal mobility scooter charging point, camera entry system and lift. Each flat benefits from underfloor heating and carpeted throughout. The majority of apartments also have walk in wardrobes. Property descriptions and related information displayed on this page, with the exclusion of Running Costs data, are marketing materials provided by Hunters - Harborne, and do not constitute property particulars. Please contact Hunters - Harborne for full details and further information. The Running Costs data displayed on this page are provided by PrimeLocation to give an indication of potential running costs based on various data sources. PrimeLocation does not warrant or accept any responsibility for the accuracy or completeness of the property descriptions, related information or Running Costs data provided here.